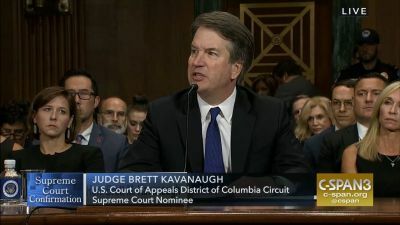 Election 2018 Polls: Democrats Losing Support After Kavanaugh Hearings? While some hope to see Republicans maintain or even expand their majorities in Congress, others are working on creating a "Blue Wave" that will eventually reverse President Donald Trump's policy efforts. Following the intense debate over the confirmation of Judge Brett Kavanaugh to the United States Supreme Court, Democrats appear to have suffered a loss in support for their campaigns. These numbers are based upon polling averages that include polls conducted in the middle of the Kavanaugh hearings. Next week's numbers will provide a better indication of whether they are part of a trend. Weeks before the midterms, polling analysis sites are indicating a slip in support for Democrats' efforts to retake the House and the Senate.